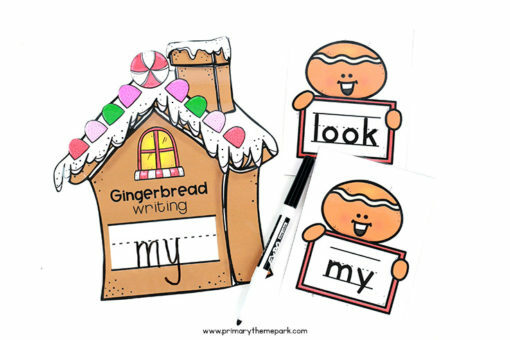 Here’s a fun gingerbread writing center idea for your classroom this Christmas! Make a mixture of dark brown sugar, salt and a bit of flour. 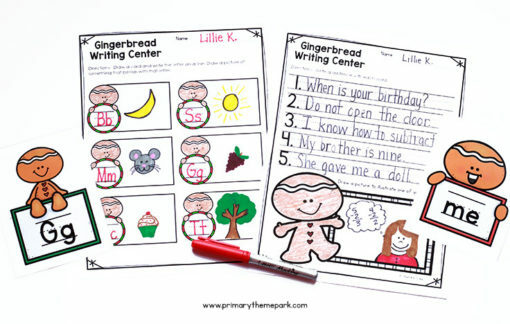 Have students write letters or words in the mixture using their finger, a pencil or a candy cane! 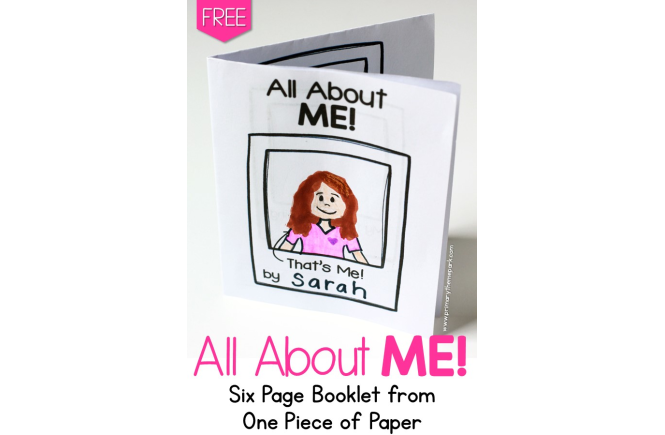 This activity is great for tactile and kinesthetic learners. Mix 1/2 cup of dark brown sugar and 1/2 cup of salt together. Add 1/2 tablespoon of flour and stir to take some of the moisture out of the brown sugar. Keep adding a little flour at a time until the mixture resembles the texture and consistency of sand. 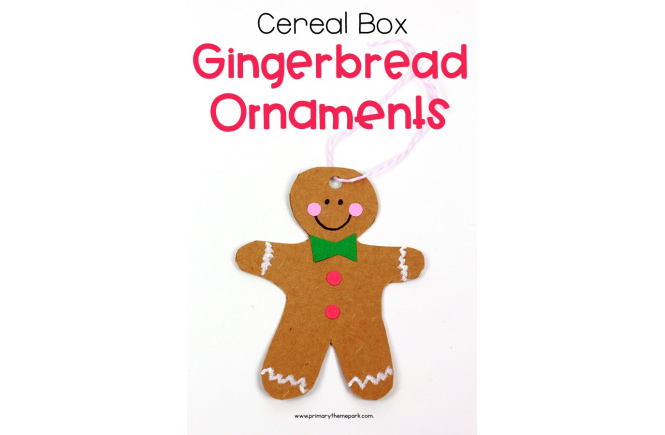 Place the brown sugar mixture in a pan or plate and spread it around to make a smooth layer. 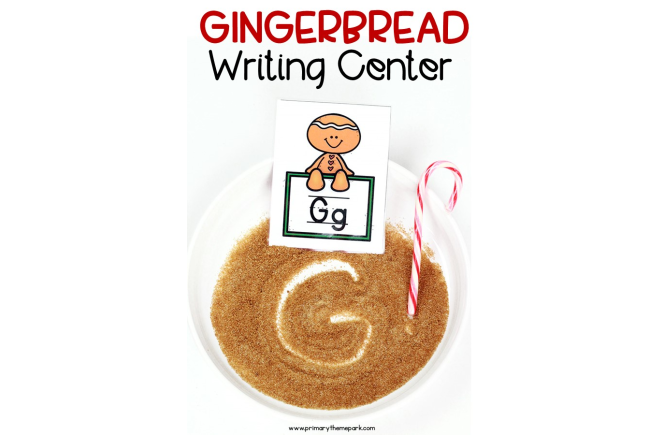 Students use their finger, a pencil or a candy cane to practice writing letters or words in the mixture. 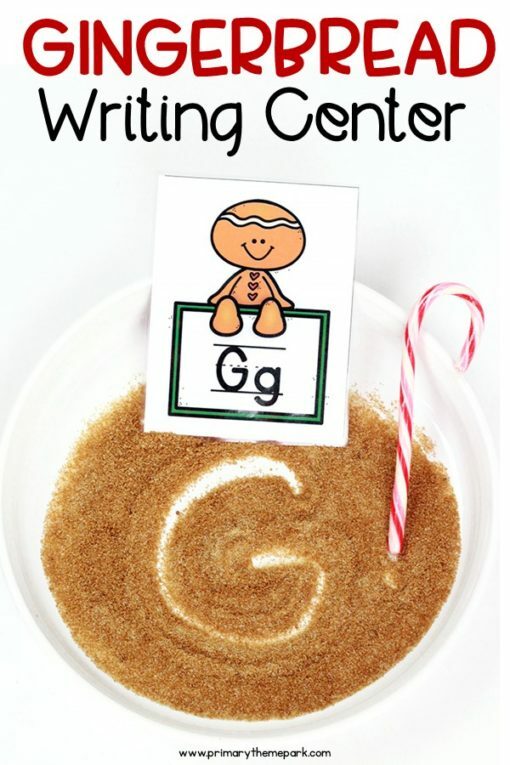 Gently shake the pan back and forth to spread out the mixture again to write the next letter or word. It’s important to use dark brown sugar as the salt and flour lighten up the sugar quite a bit. The brown sugar also gives the mixture a lovely sweet smell. I didn’t even have to use all of the mixture I made. It only takes a small amount of the mixture to cover the bottom of a pan. 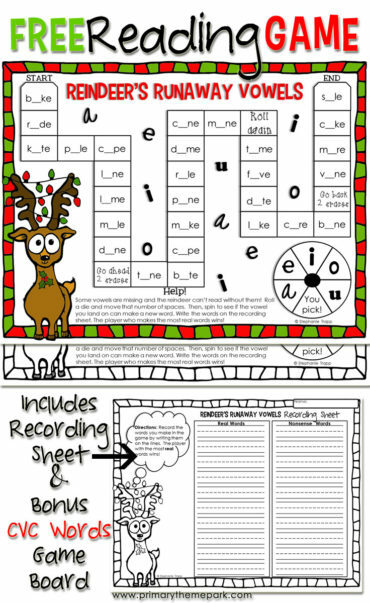 It is easier to see the letters or words with a small amount of mixture. The salt and flour help keep the brown sugar mixture from hardening. I store the mixture in a zip top baggie when not using. The mixture does hold up well to being touched with little hands. I’m currently on day 3 of reusing and keeping it in a baggie and it’s great! 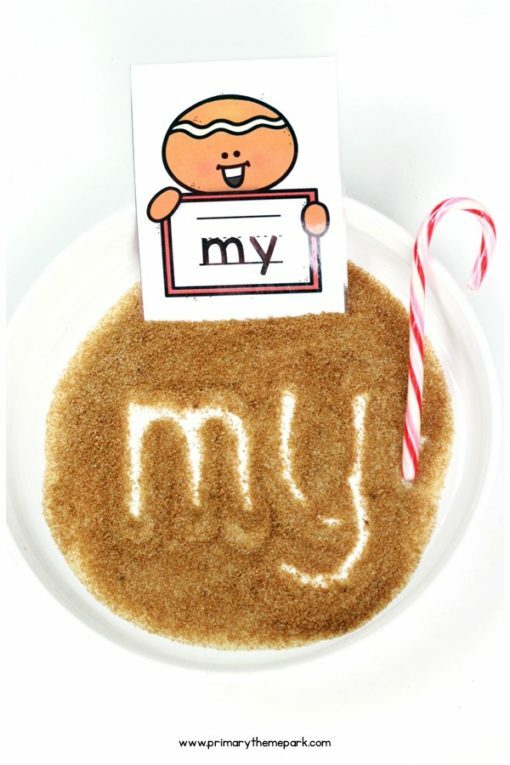 If you need to make a larger portion of the mixture, just mix the dark brown sugar and salt together in a 1:1 ratio. Then add flour a little at a time to take some of the moisture out until you get the desired consistency.